Last Sunday, I wasn't really in the mood to join the meeting of my former highschool classmates but my friend Helen encouraged and bugged me to go. She is good in convincing me so I decided to join na rin. 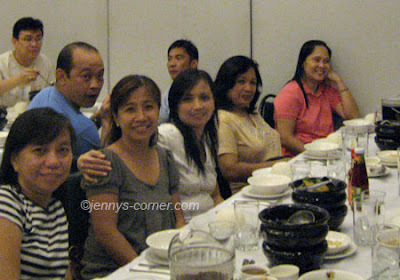 It was actually the meeting for our 25th Silver highschool Reunion next year and a welcome dinner by our classmate who came form abroad. We ate at Max's resto just very near our place and when reached the place the heavy rains started to pour that is why some came late. We ate a sumptuous meal and right after the meeting proceeded. There are many things that we have discussed and misunderstanding that is ironed out although thoughts and oipinons really differ from one another until today. Too bad I just learned today from our Yahoo Group mail that the reunion will no longer push through next year bec. organizers backed out and some of our classmates are quarreling over some matters. 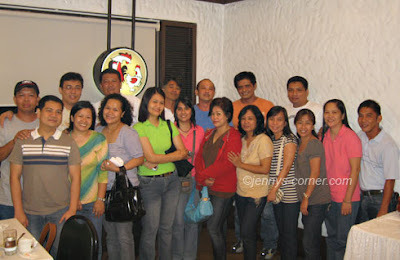 Argggghhh , I just wished that our reunion will still materialize.